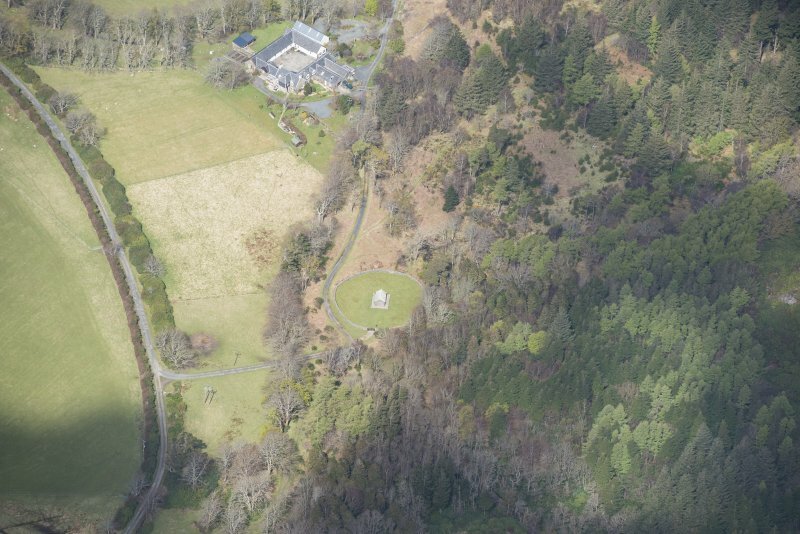 Oblique aerial view of MacQuarie's Mausoleum on the Isle of Mull, looking WNW. Mull, MacQuarrie's Mausoleum. General view from North-West. 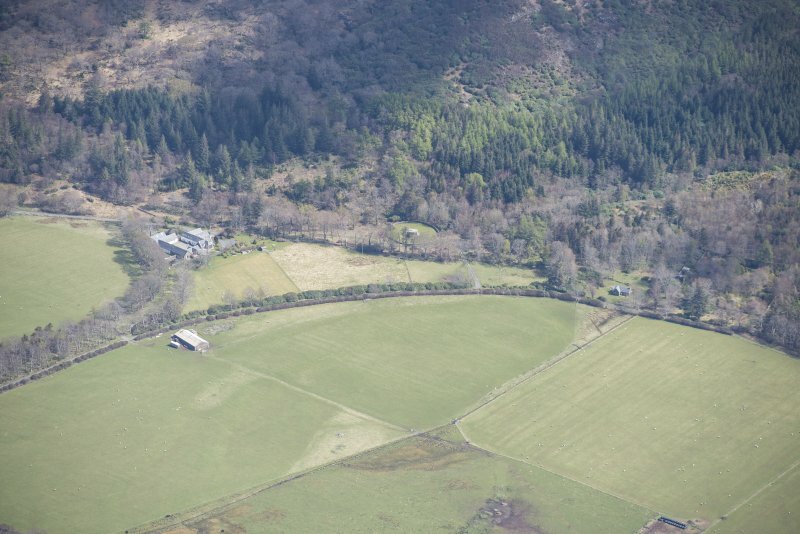 Oblique aerial view of MacQuarie's Mausoleum on the Isle of Mull, looking NNW. 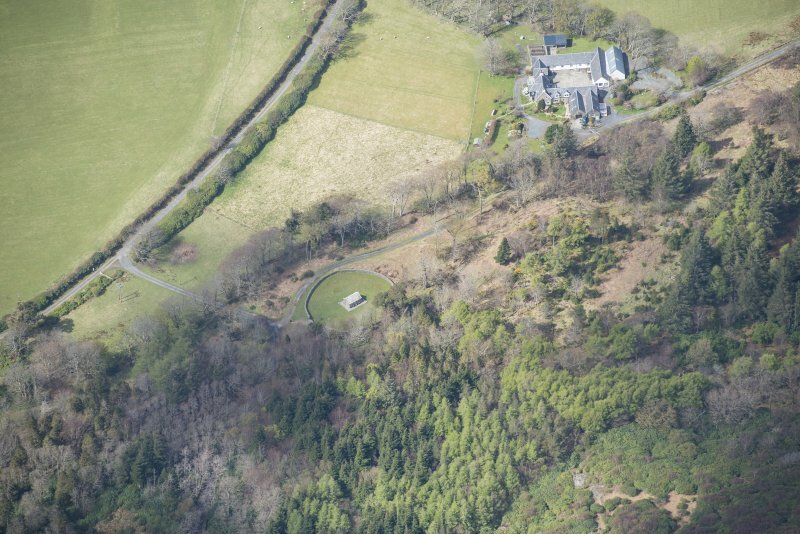 Oblique aerial view of MacQuarie's Mausoleum on the Isle of Mull, looking ENE. 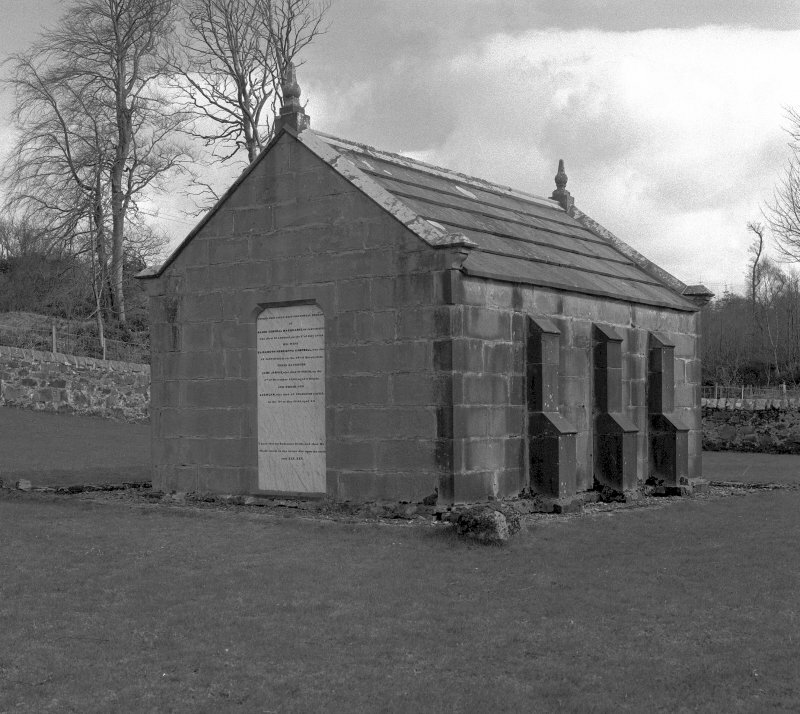 (NM 5494 3983) MacQuarie's Mausoleum, Gruline: This mausoleum, which stands about 0.6 km NW of Old Gruline House, is a plain gable-ended structure of sandstone ashlar having buttressed side-walls and a stone-slabbed roof. Two marble panels seal the entrance-doorways in the gable-walls, the one at the N end bearing a contemporary inscription which commemorates Major-General Lachlan MacQuarie of Jarvisfield, who died in 1824, and his second wife Elizabeth, daughter of John Campbell of Airds, who died in 1835. The panel at the S end, which has recently been restored, contains an inscription recording MacQuarie's achievements as Governor of New South Wales.